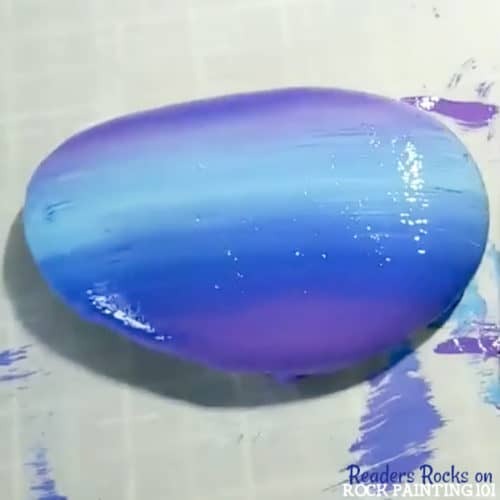 This technique for painting a gradient base coat is fast and easy. 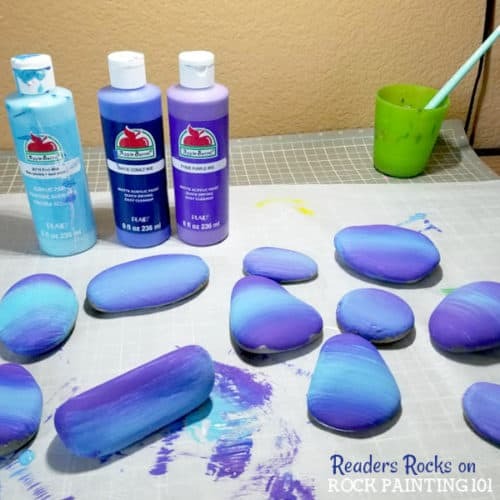 Check out the step by step tutorial and you’ll be creating amazing painted rocks in no time! 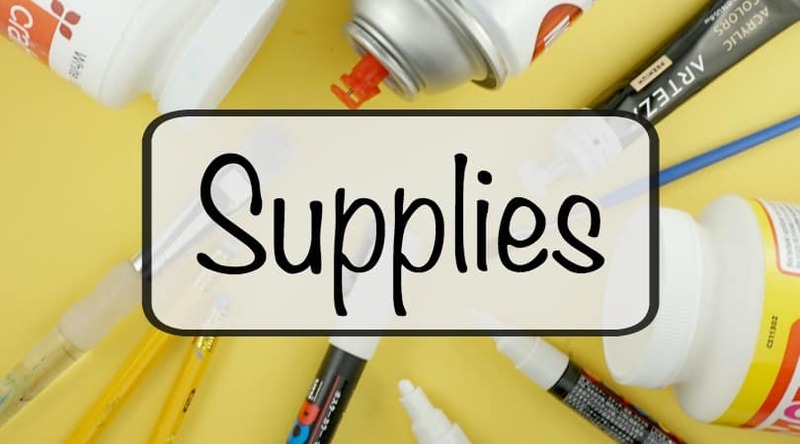 There are a lot of base coating methods out there. We have shared ways to make a pretty gradient background, how to quickly paint solid colors, some for 360 coverage. However, I am never one to pass up a fun new trick! 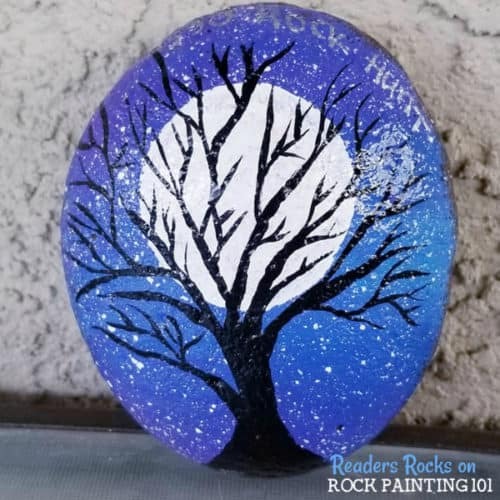 Alejandra, a member of our rock painting family, shared her awesome base coating technique in our rock painting tutorials group. 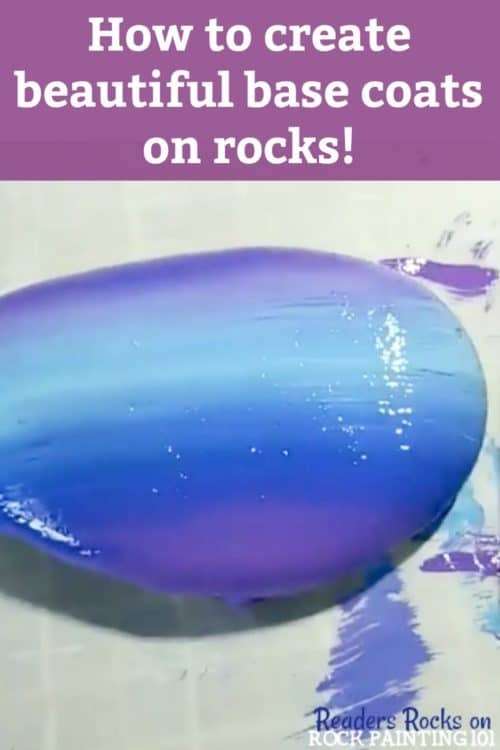 She has been painting rocks for a year now and has found a fast and easy way to create a simple gradient base coat in seconds! To pull off this look you will need a wide paintbrush. 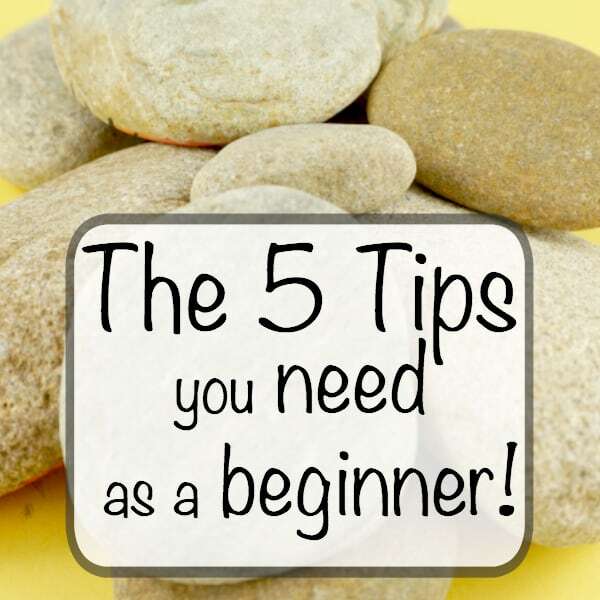 One that will cover the whole height of your rock. 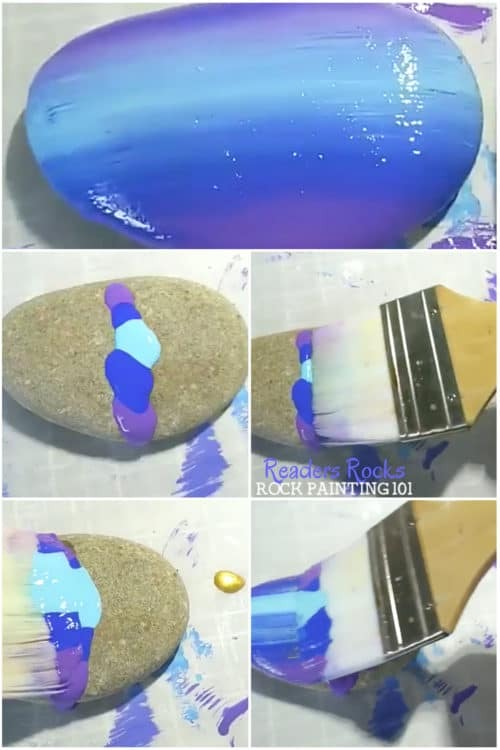 Squirt your paint colors directly on the rock. 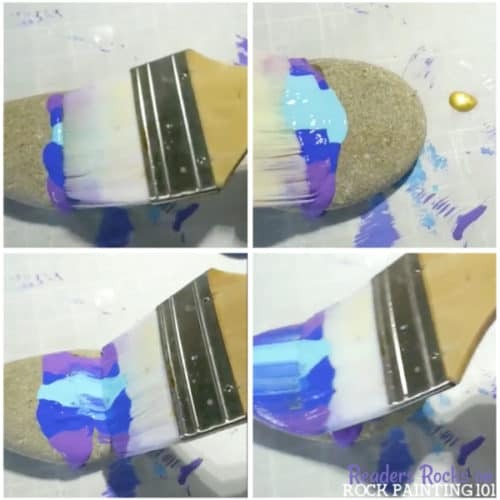 Then gently lay your brush across the paint. 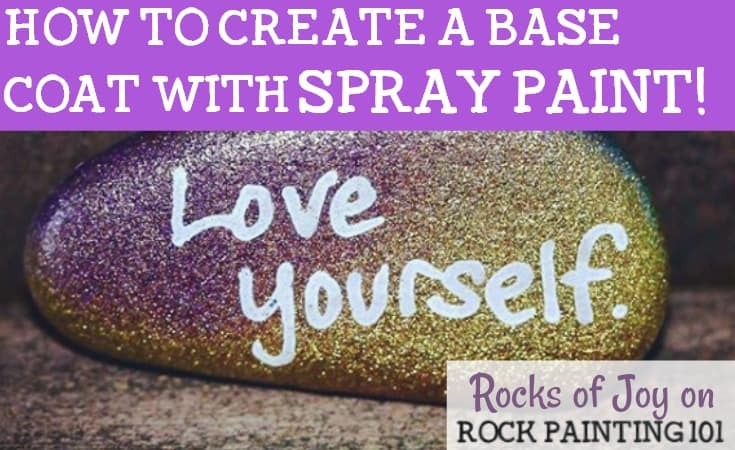 Flip and press the opposite side into the paint as well. Then with light strokes brush the paint back and forth. 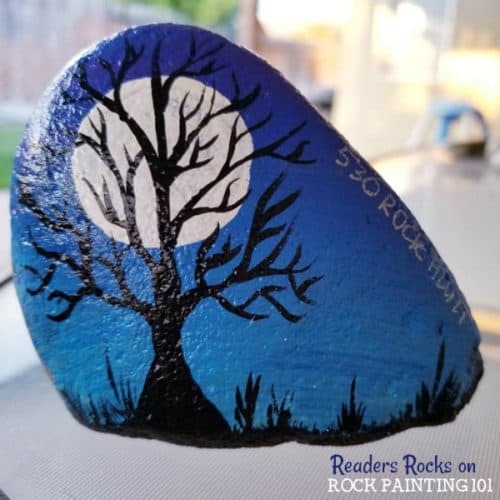 Continue until you like the look of your rock! 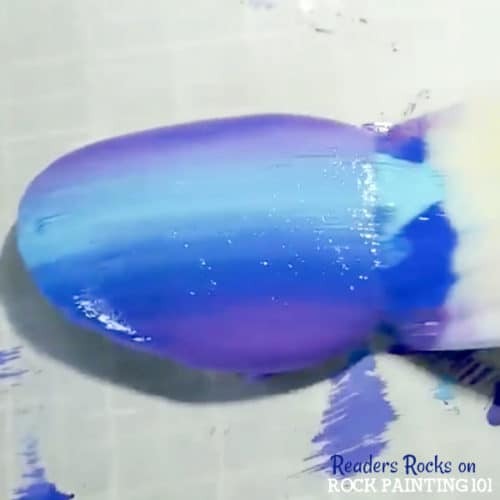 You can take the paint onto your next rock and continue. 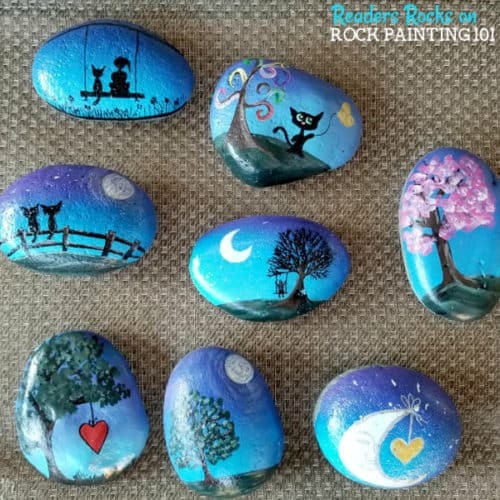 This is a great way to base coat a group of rocks all at once. Check out all the amazing things she has painted on top of her backgrounds! 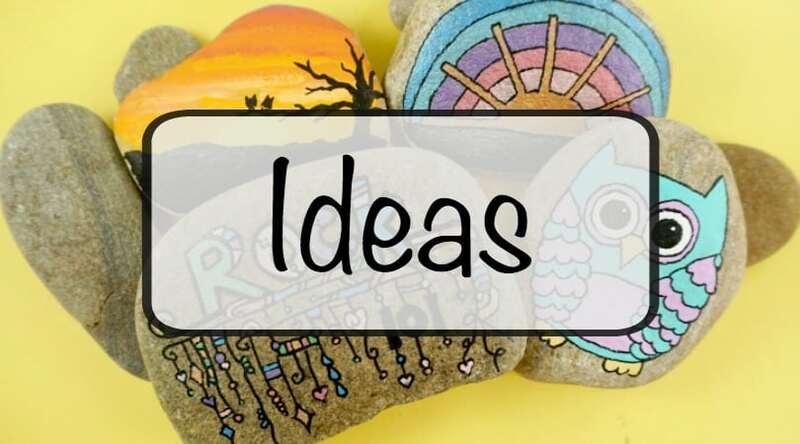 Alejandra leaves her rocks throughout her town in random places with hopes of making someone smile. 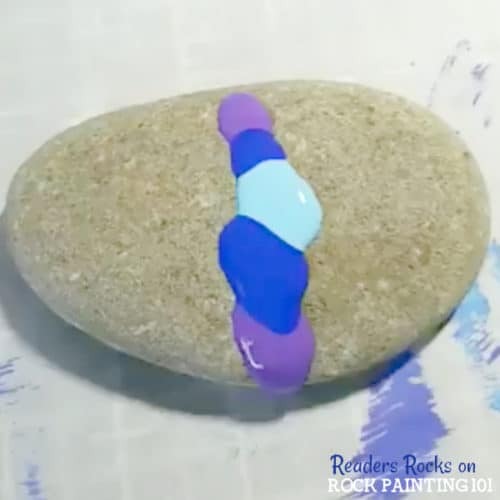 To see this process in motion or to share your competed rocks head to her original post on Facebook. 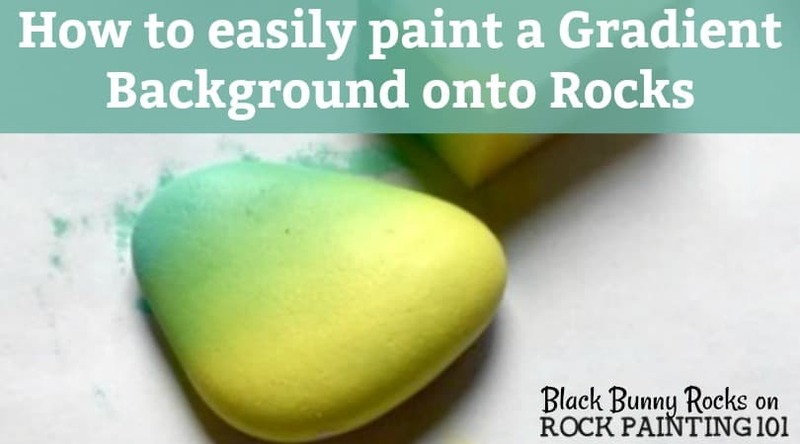 Pin this tutorial rock to your favorite Pinterest board!